Joelle first started her AJ career when she was in the sixth form at school, working around her studies really gave her a flavor for working life and what is what like to work here at AJ. 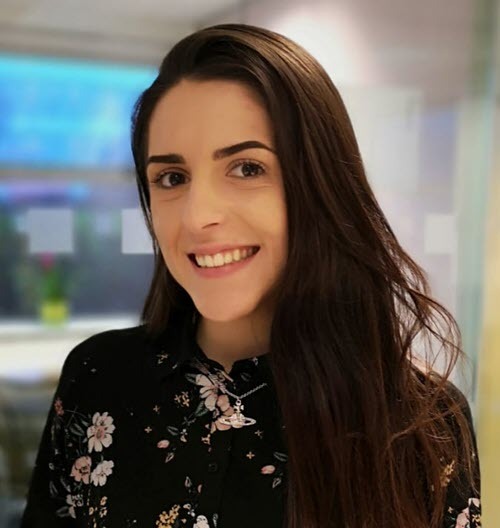 Joelle’s AJ journey has seen her complete her certificate in Recruitment Practice Level 3 which has given her a great foundation in understanding the recruitment sector and how AJ can deliver using the absolute best practices and principles. Joelle is now our Marketing Assistant and is a total wizz kid on Salesforce, the number 1 CRM system in the world. On a day to day basis you will find her Creating valuable content to share across with customers and candidates and working hard to be a good AJ brand ambassador. In her spare time, Joelle loves to walk her dog and spend time with her partner, family, and friends. She also is obsessed with re-watching series on Netflix over and over again!